Activation: place within an EditScor menu item and activate from there. 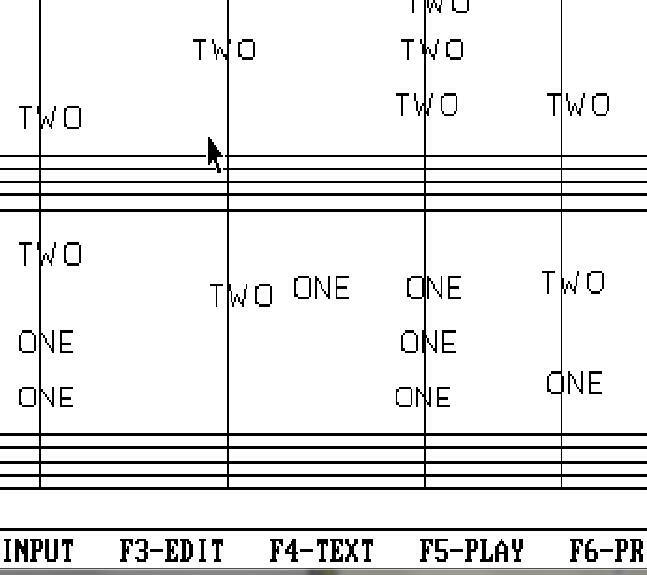 This macro requires Tom Brodhead’s “EditScor” program in order to function. I recommend using the /stats as well as the /pscpath as a bare minimum. Make sure that the ini file is placed in the directory where your copy of the EditScor program resides. 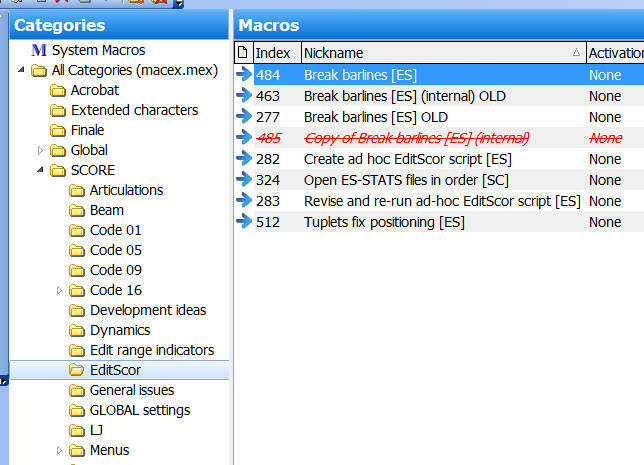 The macro depends on the EditScor script “barbreak.txt” (included in the download file) in order to function. Invoke this macro on any open Score file, and the required change will be performed on that file; there is no need to indicate the file name, or to reload the revised file. 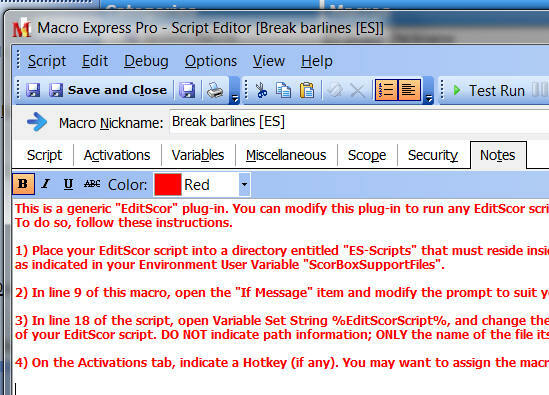 In essence, importing this macro into Macro Express and placing the associated EditScor script into the “ES-Scripts” directory (see instructions for the Download file on this page) creates a completely new “command” for working within ScorBox for which there is no provision at all within the Score program.